We’re back from our weekend in Montreal, kicking off the 2012 cross country season! It was a great weekend full of fun, running, and awesome eats! We’ll be re-capping the weekend’s events tomorrow, but for now…. 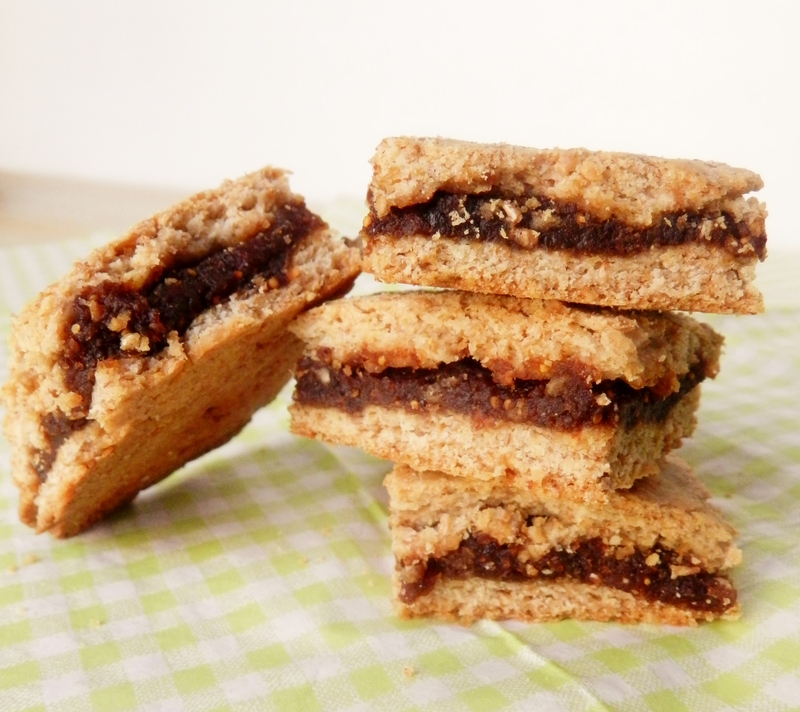 We were really excited when we found out that this week was figs, as probably one of our favourite little grab-and-go snacks are fig newtons! 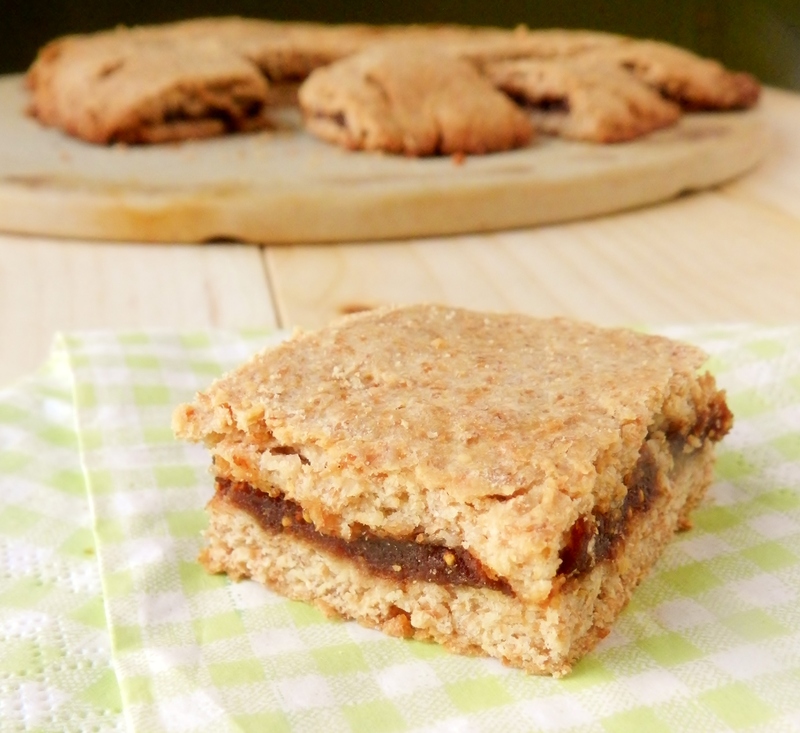 In high school, we used to always have a package of fig newtons in the house, and they are something we’ve been wanting to try our hand at making for quite some time. MMAZ gave us the perfect opportunity. When buying them at the grocery store, we always got the 60% whole wheat ones, but we knew that we could do better than that! 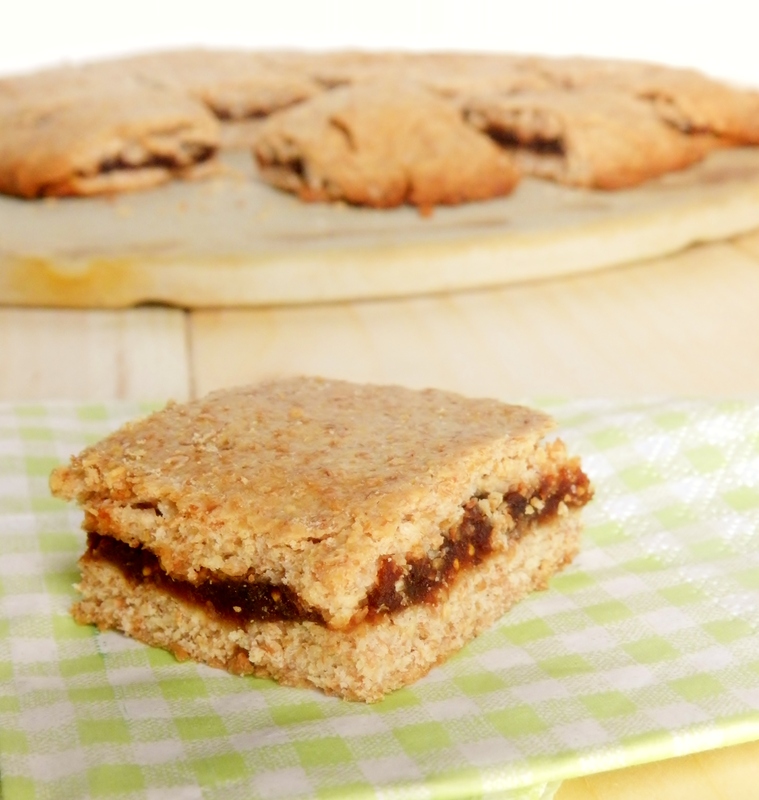 Our fig newtons are 100% whole wheat, and contain no added sugar. They also use coconut oil instead of butter. 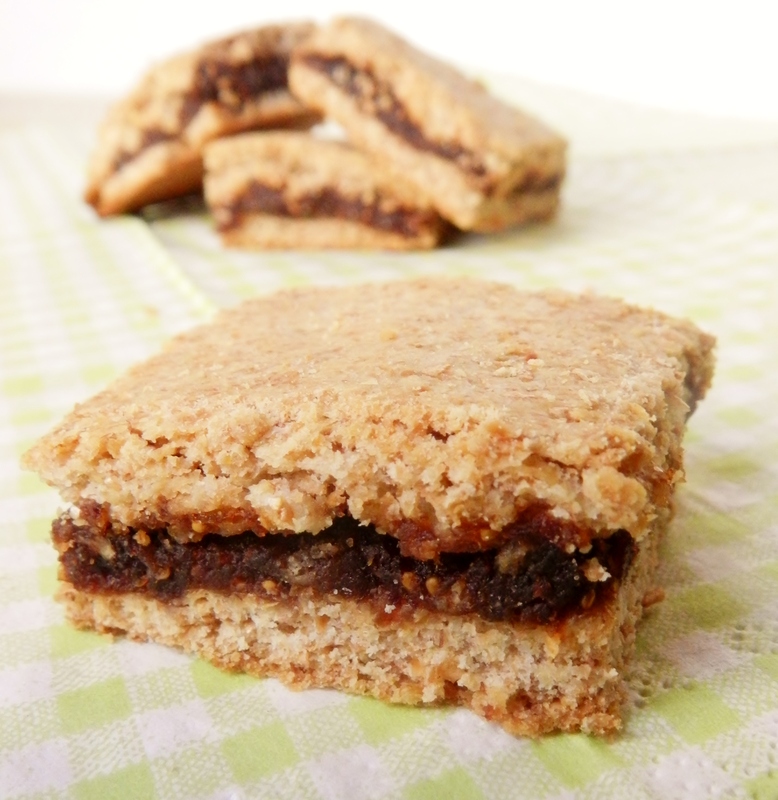 They should actually be called date-and-fig newtons, because our filling has dates in it (partly to help with sweetening, but mostly because we only had one package of dried figs!). Don’t forget to head over to Heather to check the rest of this week’s participants. Place figs, dates, and water in a pot and bring to a boil. Turn down to medium-low and cook until the dates and figs soften and begin to “melt”, stirring frequently and slightly crushing up the figs. Once the water has cooked away, add the lemon juice, remove from heat and allow to cool. Blend in the food processor to remove the chunks. In a medium-sized bowl, combine the dry ingredients. In another bowl, cream the honey and coconut oil. Add the egg (the egg must be at room temperature, or else it’ll cause the coconut oil to harden) and milk and vanilla. Combine the wet with the dry and kneed with your hands until you have a smooth ball of dough. Ad extra water if the dough is too dry. 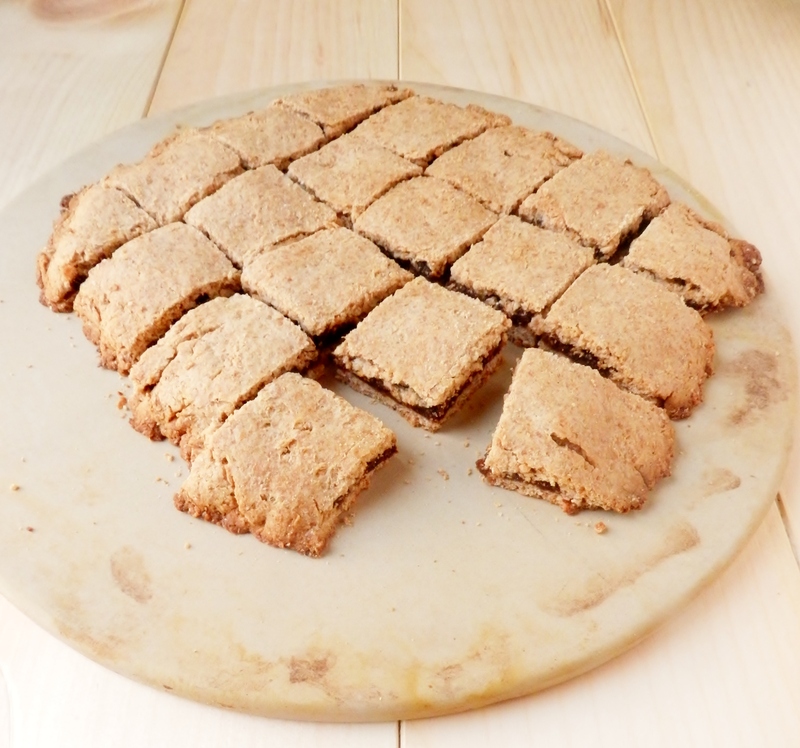 With a rolling pin, roll half of the dough into a square about 1/4 inch thick. Spread fig filling on top. Roll out the other piece of dough in the same way and place over top of the fig mixture. Bake for 30min, until lightly browned. Posted in Uncategorized and tagged coconut oil, dates, fig newtons, figs, healthy, Meatless Monday, no added sugar, no butter, snack, treat, vegetarian. Bookmark the permalink. Mmmmm…. store bought figs newtons are yummy but these look delicious. I will definitely give them a try. I love that we had the same idea for MMAZ! Ohh, and what is creamed honey? It sounds deluxe! When the figs are fresh in the garden, all you need is some goat cheese and a fancy rosemary-or-something cracker. Am in love with figs again. I think I’m the only person who didn’t like Fig Newtons as a kid. They tasted too packaged! However, this fresh version sounds delish. I LOVE that you used creamed honey. That’s the best!